A while ago a friend told me that she loved to listen to audiobooks on her drive to work (she has quite a long drive, so she goes through a few audiobooks a month). I’d never really considered an audiobook before, but on her recommendation I gave it a go. I subscribe to Audible.com, which costs me $9.99 a month and gives me a credit for one free audiobook. Sometimes I go through more than one audiobook a month depending on the length, but other times I have credits from a previous month and just use those (they accumulate so you never lose them and they don’t expire). 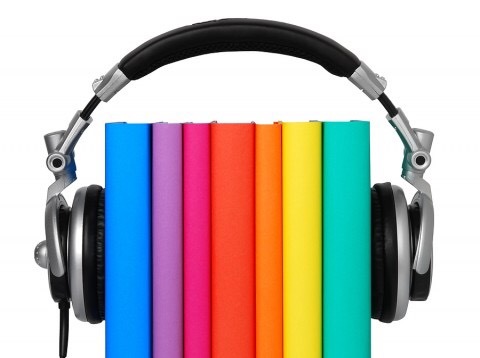 Audiobooks usually cost around $30.00 each, so I’ve found the subscription really good value. I’m hooked. I feel like I am actually accomplishing something on my commute now, rather than a necessity of just getting from point A to B. So far my favourites are autobiographies. I have never read an autobiography before, mainly because I am not a huge nonfiction fan. But there is just something about having the author read their own story to me that makes me feel like we are sitting down, chatting about their life. Favourite autobiography of 2016: tied between Mindy Kaling’s “Is Everyone Hanging Out Without Me?” and Michael McIntyre’s “Life and Laughing”. I also really enjoy listening to literary fiction via audiobooks. Again, literary fiction isn’t something I would run to pick up myself, not because I don’t appreciate it, but because I think I am lazy. They just tend to take a little longer to fully engulf me, and I don’t seem to have time or the patience for it. Best literary fiction of 2016: Anthony Doerr’s “All The Light We Cannot See”. There is no chance I would have been able to sit down and read this book, but listening to it drew me into the world of the two main characters and I was hooked. So much so, that when I would get home in the evening, I would sometimes sit in the driveway to listen to just one more chapter. Brilliant, that’s all I can say. Honorable mentions for 2016: I listened to all of the Harry Potter books. Okay, I know what you are thinking. This was an easier choice for me because I am kind of obsessed with Harry Potter. Well, let me tell you, I didn’t know Harry Potter could get any better until I listened to the audiobooks. The narrator, Jim Dale, turns each book into a one man play. He was simply sensational, and I fell in love with the books once more (something I hope I never stop doing with each new read). Right now I am currently listening to the audiobook of The Light Between Oceans. I love it so far (I’m about half way through). Again, not something I think I would read curled up on the couch (those tend to be more romance or mystery books), but I am really enjoying it. It’s one of those novels that about three chapters in you think, uh oh, this isn’t going to end well. Time will tell, but I am loving the journey. And now I totally want to live in a lighthouse.